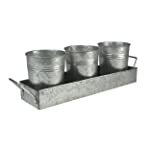 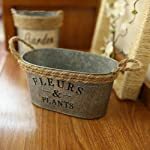 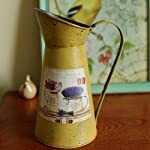 This French design rustic metal pitcher vase can make your home decor display in a charming and vintage Parisian way. 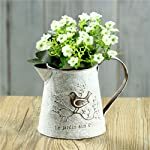 This petite vase features on the exterior a bird design perched on a leafy and blooming branch above French text, which in English translates to "garden of birds". 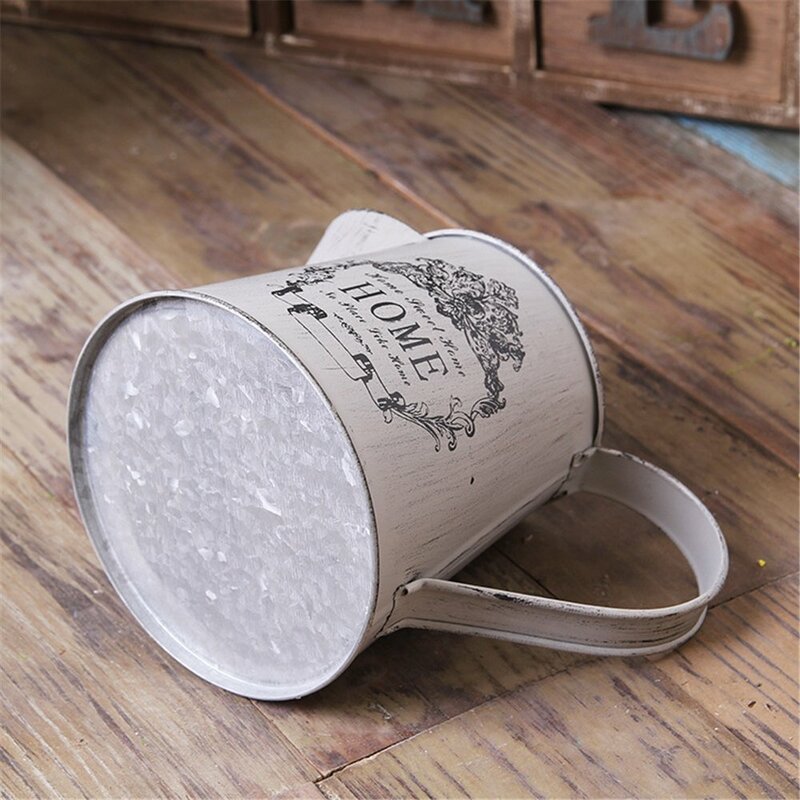 The metal has been brushed with white and given a distressed weathered feel to reinforce the French country flair. 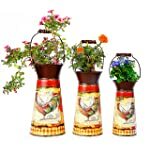 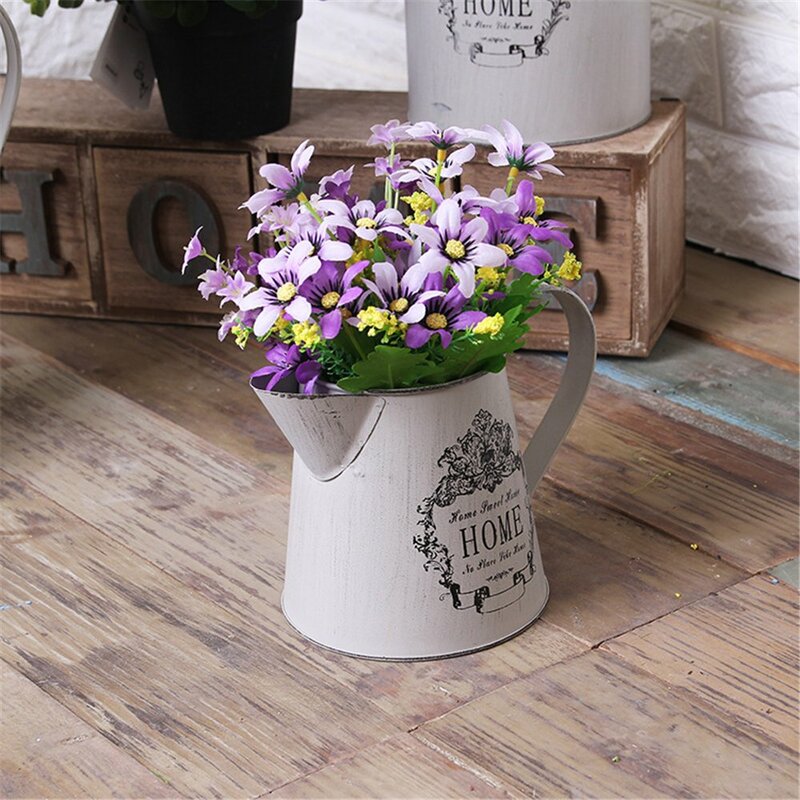 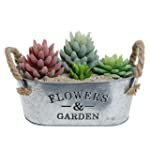 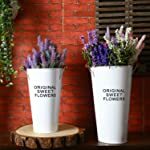 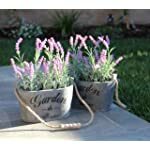 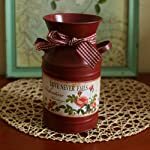 This small pitcher makes for a perfect vase for live or artificial flowers, but can hold any other home decor that you would like to see displayed. 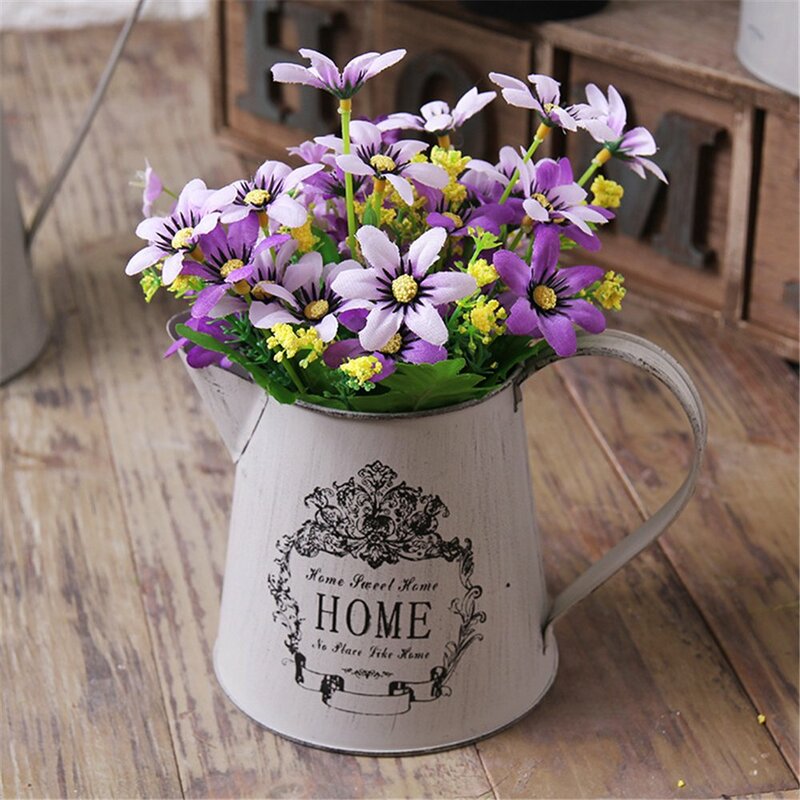 Its petite size allows it to fit on any tabletop surfaces, and its charming design will complement room decor from bathrooms to kitchens. 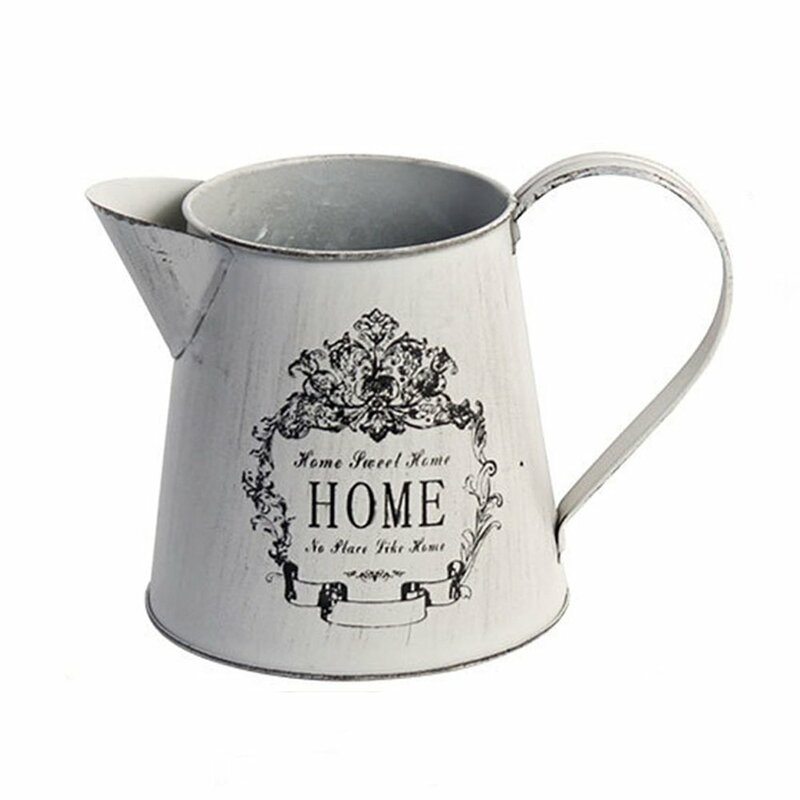 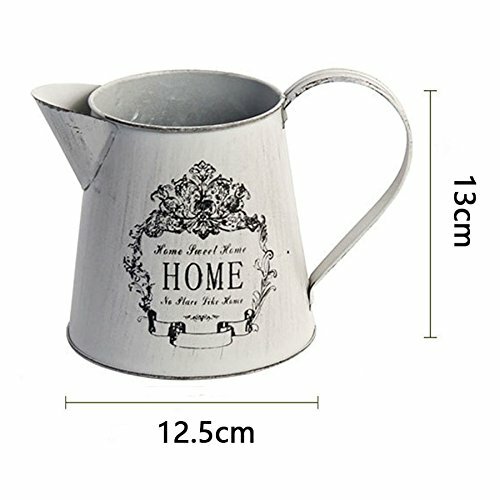 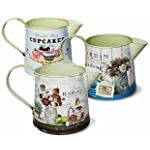 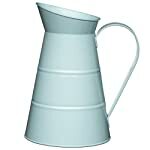 Touch up your home with a little French country sweetness with this ornate and charming metal vintage pitcher.